JUST FINISHED KITCHEN UPDATE. New kitchen appliances, new counter tops with new stainless steel sink. 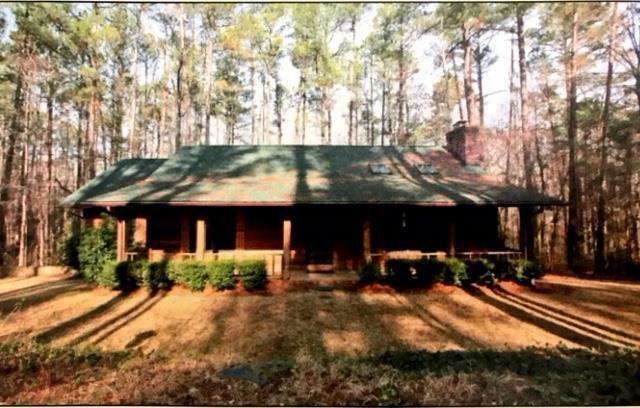 Private setting located on 2.6 acres this cedar sided 2 story home has 4BR / 3BA 2736 SF. Updated with new carpet and paint. 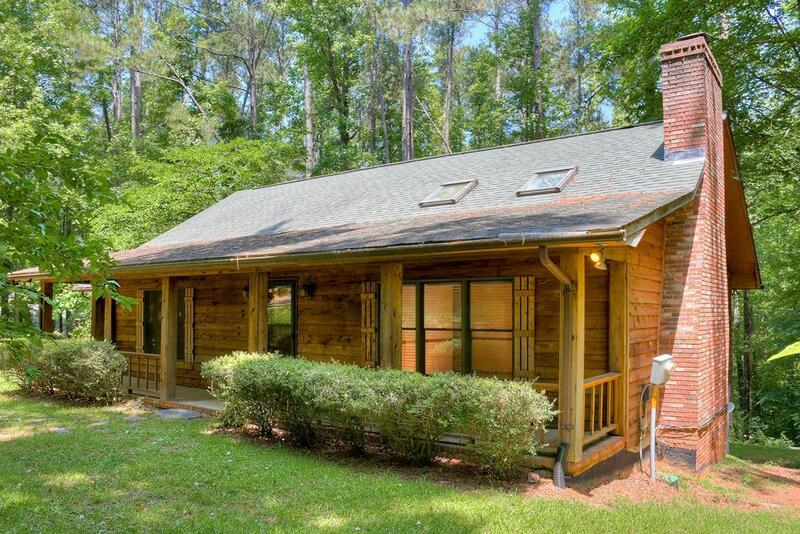 This home features wonderful rocking chair front porch and back deck setting surrounded by beautiful trees. 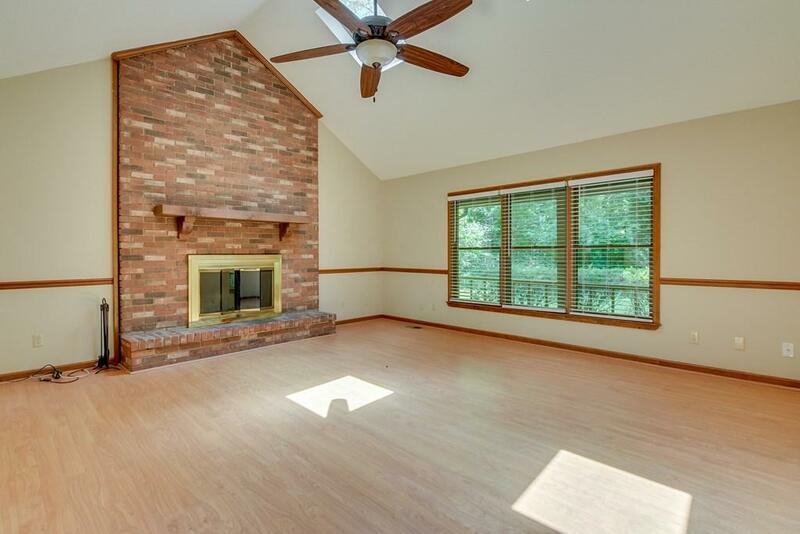 Main level has family room with wood burning fireplace, vaulted ceiling with ceiling fan. 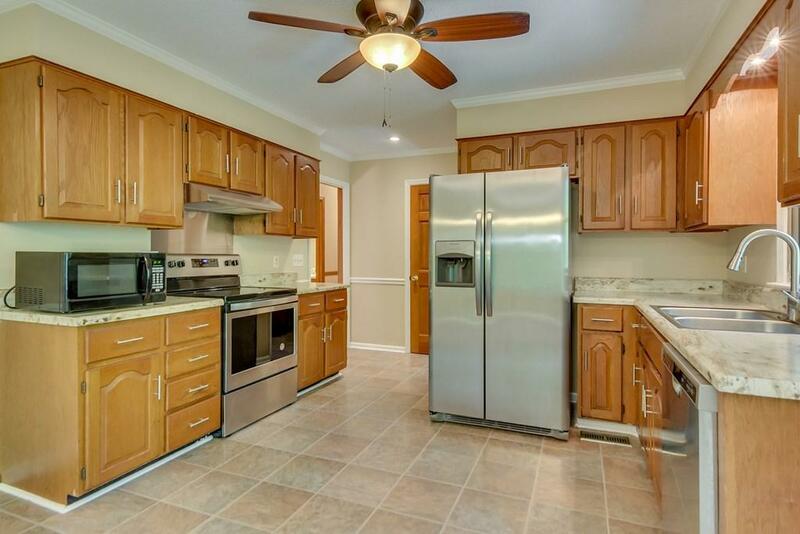 Kitchen with built in appliances, lots of cabinet space and spacious breakfast area overlooking heavily wooded backyard. Master bedroom with walk in closet and private bath. Lower Level has a great entertainment room, bathroom and bedroom. Attached double garage. Minutes from Exit 1 on I-20. Seller will be repairing uneven portion of driveway prior to closing. Lower level can be used for game room or in-law-suite. Roof approx 10 years old, HVAC 6 years old. House sits on 1/3 of the acreage and additional 2/3 of Acres behind the .